This week is Dying Matters Awareness Week, which encourages people to talk openly about dying, death and bereavement. 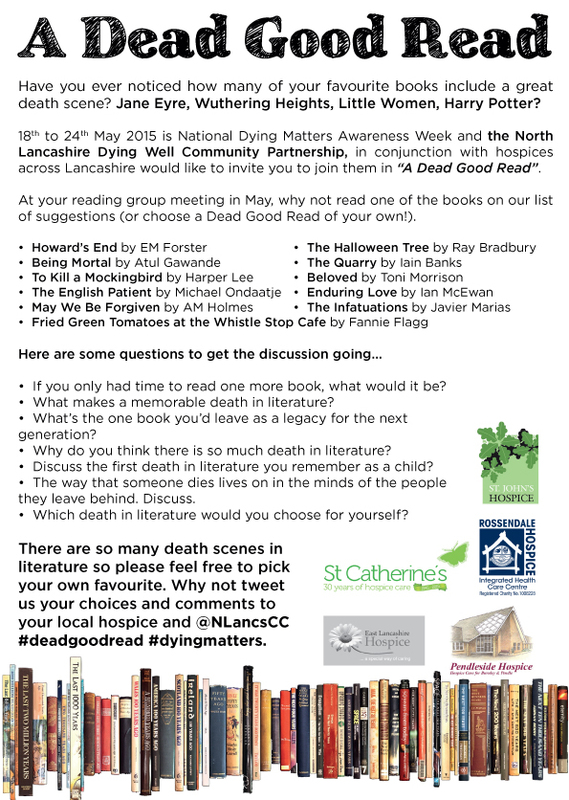 We are also encouraging reading groups to pick up and discuss books which include the subject of dying as part of the Dead Good Read initiative in Lancashire Libraries. More information can be found at your local hospice shop. Throughout Dying Matters Awareness Week, events and activities are being held up and down the country to raise awareness about end of life issues. To read more about our Six Steps end of life care programme for professionals, click here. To find out more about our Bereavement Support Service, click here.